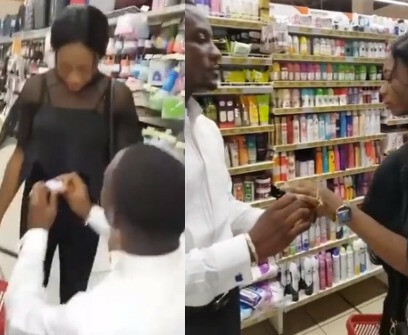 A lady has turned down her boyfriend's proposal after he surprised her with a ring inside a mall in Onitsha. A video has emerged online showing the moment a man was embarrassed by his girlfriend inside a mall after he proposed to her. The incident reportedly happened inside a mall located in Onitsha, Anambra state.